Merry couple days after Christmas SCtoC! 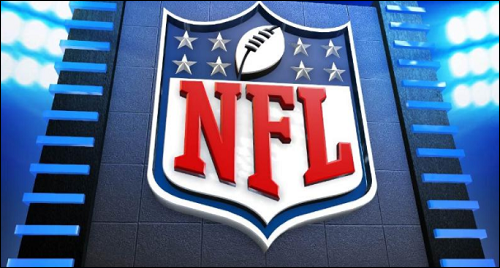 Hope everyone had a good holiday, and being that I'm spiderfan it is time for me to talk about Week 16 of the NFL season. Let us begin! NFL Network for the second and final time this season had a doubleheader of games they were the Redskins-Titans and Ravens-Comebacks. Both were actually quite good and had big playoff implications. First, because the Redskins lost meaning they were eliminated from playoff contention. The Titans won thus putting themselves in good position to make the playoffs (we'll get to that later). It was kind of a shame to see AAF 1st overall pick Josh Johnson fall apart in the 4th quarter, considering he had played well up until then. Still, Adrian Peterson got to over 1,000 yards rushing for the season something which only a handful of RBs have done this year. Peterson is a free agent next year and he should get a bigger contract, whether that be from the Redskins or someone else. As for the Titans, they lost Marcus Mariota to injury and there is doubt as to whether or not he will play next week. Even if he does, he is likely to not be playing at 100% which is a disadvantage for the Titans. Second, the Ravens won thus putting themselves in good position to make the playoffs (we'll get to that later). Lamar Jackson played pretty good and the Ravens defense showed why they are the #1 unit in the league. The game actually had a college feel, with the crowd being in the game all the way through, the stadium lighting, it was truly great stuff. As for the Comebacks, they already clinched their playoff spot but had they won, they would have been in the drivers seat for the #1 seed in the AFC something which they desperately want. Also, Phil Rivers has made great plays, but he has made some boneheaded mistakes which he needs to stop doing come playoff time. Where do I begin? Ok, so because the Steelers lost to the Saints on Sunday in what was a thrilling game, the Steelers need to beat the Bengals and have the Ravens lose to the Browns or have the Colts and Titans tie thus Game to Watch: Steelers-Bengals. Whoever wins the Colts-Titans game gets into the playoffs which means the schedule makers put the game on Sunday Night Football. I know we have Andrew Luck fans on this board and being the aforementioned stakes, Game to Watch: Colts-Titans. Because the Steelers tied against the Browns in Week 1, the Browns do not have a shot to make the playoffs, however if the Browns beat the Ravens, the Ravens will be eliminated, which considering the Ravens have been in this spot before and lost, I get the feeling that John Harbaugh's job security is on the line despite what the Ravens say Game to Watch: Browns-Ravens. We aren't done yet in the AFC. The NFC is less crazy, but there are still big games. To start even though they have clinched their playoff spots the Rams and Bears are in a battle for #2 seed. Because the Bears beat the Rams on SNF a few weeks back, if the 49ers beat the Rams and the Bears beat the Vikings, the Bears would be the #2 seed and get a bye. If the Rams beat the 49ers and the Bears beat the Vikings, the Rams get the #2 seed and a bye. Here is where things get real juicy: The Vikings have to beat the Bears to to instantly clinch a spot to the playoffs. If the Vikings lose, then they need the Eagles to beat the Redskins and if the Redskins beat the Eagles, then the Vikings make the playoffs win or lose. If the Vikings win they get a playoff spot and if the Seahawks lose to the Cardinals, because the Vikings tied the Packers early in the season, the Vikings would the #5 seed. If the Seahawks beat the Cardinals, the Seahawks are the #5 seed regardless of what happens to the Vikings. Games to Watch: Bears-Vikings, 49ers-Rams, and Eagles-Redskins. Credit to CBS Sports as their guide enlightened me to some playoff scenarios, I didn't know about. -The Saints aren't in invincible in the Superdome IMO, because even though they haven't lost much there, they still have played close games that they should/could have lost. -Despite what some in the DFW media say, I'm not buying that Coach Ostrich has any chance of getting fired at this point. -Matt Patricia should be one and done. -It's a shame that Packers-Jets game didn't have any sort of playoff implications because it was awesome. -Apparently Ron Rivera and Doug Marrone aren't getting fired, like I had thought previously. Less job openings coming. -Cody Kessler got benched for Blake Bortles? Not something I thought I would ever see. -The Browns should keep their current coaching staff if possible. If not, the Browns should make Freddie Kitches their HC. Paul DePodesta is going to have a big say in things, as he should. -I don't even know if it fun to mock the Tinys at this point. -Jim Harbaugh to Jets? Interesting. -Jim Caldwell and Chuck Pagano interviewed with the Packers, but Philbin sounds like the players choice. -I recommend reading this article about candidates for head coaches. -The Broncos are a mess from top to bottom. I think it is karma for what John Elway did to Tim Tebow and Peyton Manning. Shame that talented guys like Von Miller, Phil Lindsay, and Case Keenum fall victim to it. With that said, I look forward to seeing you all next week as we prepare for the NFL playoffs. I hope ya enjoyed and as always, this is spiderfan out.